to relax, unwind and enjoy fresh air and stunning views. Whether you’re celebrating a special occasion, getting together with a group of friends or looking for a venue for a family holiday in Somerset, Folly Farm is a great base from which to explore the beautiful South West. We can also offer group accommodation if you're attending an event nearby. FOR LATE AVAILABILITY DATES AND DISCOUNTS. Up to 49* people can stay in the 20 bedrooms, comprising 10 farmhouse and 10 studio rooms, including doubles, twins, triples and bunk rooms. Smaller groups can hire just the farmhouse, including the 10 bedrooms (sleeping 26 people), a professional kitchen, dining room and atrium with comfy sofas. *Max. occupancy will increase to 56 by Spring 2020. The rooms at Folly Farm can be hired on a self-catering basis, however if you’re looking for a hassle-free stay, our on-site caterers can tailor menus to suit a variety of budgets, tastes and dietary requirements. Whether you would like a fully-catered package, breakfast cooked for you each morning or a celebratory lunch, afternoon tea or dinner during your stay, our caterers offer a wide selection of options. Folly Farm offers a whole range of outdoor and indoor activities and team building challenges for all abilities. Compete against each other with a 'Mission Impossible' team challenge, learn how to survive in the wilderness with a bushcraft session, or test your team work with a sheep herding challenge. Wander around the working farm, admire wildflower borders, seasonal snowdrops or daffodils in the apple orchard. Or, stride out and enjoy the stunning nature reserve, boasting ancient woodlands which burst to life with springtime bluebells and rare wildflower meadows. Forget the rat race, we’ve got owls, bats, woodpeckers, foxes, badgers and more for you to spot. It truly is a rural idyll. Folly Farm is in the heart of the Somerset countryside, just 10 miles from Bristol and Bath. Using Folly Farm as a base, explore Chew Valley Lake, the ancient stone circles at Stanton Drew, Cheddar Gorge and the market towns of Wells and Glastonbury. Cyclists and walkers are welcome, and we’re close to major cycling and hiking routes. The Mendip Explorer bus is a great way to appreciate the Mendip Hills – a designated area of outstanding natural beauty. As well as giving our profits to Avon Wildlife Trust to use for nature conservation, we’re also an environmentally sustainable venue. 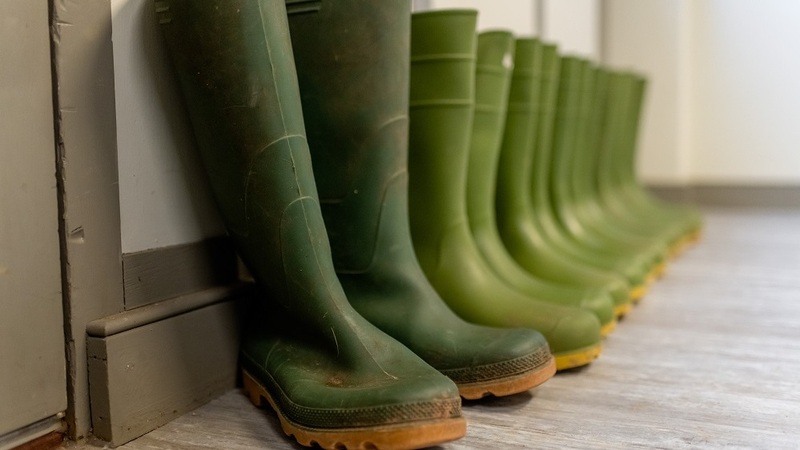 Folly Farm uses solar power to heat the water, have a biomass boiler for heating, source local produce, harvest rainwater to flush the loos, and even break down sewage naturally in a reed bed sewage system. All paper products are recycled and cleaning products are eco-friendly.